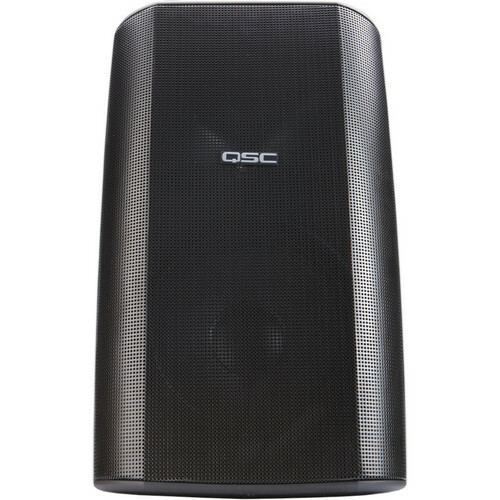 The black AD-S82 8" AcousticDesign Surface Mount Weather-Resistant Loudspeaker System from QSC includes an 8" 2-way full range loudspeaker housed in a lightweight, multipurpose enclosure that features a heavy-duty, powder coated aluminum grille. The system also includes an IntelliDock intelligent mounting system which comes with a mounting plate and detachable docking station that incorporates termination points for wiring. The full-range, surface mount AD-S82 Loudspeaker features sleek, contemporary styling that fits well into multiple environments and applications including hotels, restaurants, convention facilities, and multimedia environments. The unit employs a 1" pure titanium dome tweeter. The 90° x 60° Advanced Directivity rotatable waveguide allows the loudspeaker to deliver accurately focused sound, regardless of the enclosure’s mounted orientation. 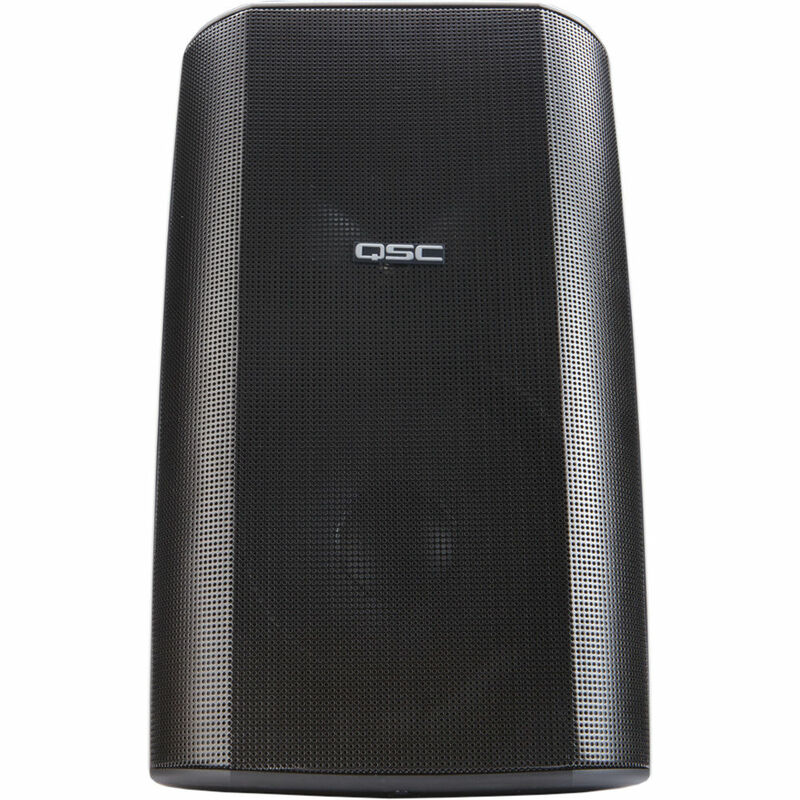 The ported enclosure of the loudspeaker is made from injection molded, high-impact polystyrene. It incorporates an 8" weatherproof, LF transducer with a heavy-duty double roll cloth surround. The speaker incorporates QSC’s revolutionary IntelliDock intelligent mounting system combined with the Advanced Directivity rotatable waveguide. The IntelliDock intelligent mounting system raises the bar for ease of installation and security. The IntelliDock docking station combines all the components needed to mount, wire, and position the speaker into a single housing—independent from the enclosure. The speaker enclosure locks onto the docking station in one step, simultaneously making electrical connections and holding the speaker in place. This exceptional design carries the added benefit of security—reducing the possibility of theft. So when opening night arrives, just snap the enclosures onto the docking stations, feed the program material, and you’re ready. All frequency ranges specified refer to measured free field response (full space, 4π). Box Dimensions (LxWxH) 19.6 x 11.3 x 8.7"